The broadcaster could follow the BBC up north. But the two cases are very different. The future of Channel 4 has been up in the air for 18 months. When the government finally announced that the broadcaster will remain in public ownership, it dropped another bombshell: Channel 4 should move some or all of its operations out of London. Birmingham, Leeds and Manchester have been tipped as a new home. Culture secretary Karen Bradley said relocating Channel 4 would help to spread creativity around the UK because "there is a great deal of talent outside of London and too much of it is being overlooked". The government’s proposals also include Channel 4 spending more on productions outside of the M25 and taking bigger stakes in production companies to support the regional sector. Channel 4 welcomed the decision not to privatise the broadcaster but argued that relocating would be "highly damaging" to its business model and "diminish our investment in the creative industries around the UK". A spokesman said it’s more important to look at where Channel 4 spends money and noted that the broadcaster has invested £1.5bn over the past ten years in commissioning content outside of London. However, moving Channel 4 would send a powerful message. As Chris Hirst, chief executive of Havas UK and Europe, points out, the creative industries are important because their "cultural impact" goes beyond just economic and political benefits. "The more we can diversify away from London and help unlock the potential, the better it will be for all of us," he says. Hirst says the BBC’s move to Salford in 2011 had a halo effect and prompted other media businesses to follow. But he thinks it would be "a shame" if Channel 4’s new home also ended up being in Manchester. The difference between the BBC and Channel 4 is that the commercial broadcaster outsources TV production. 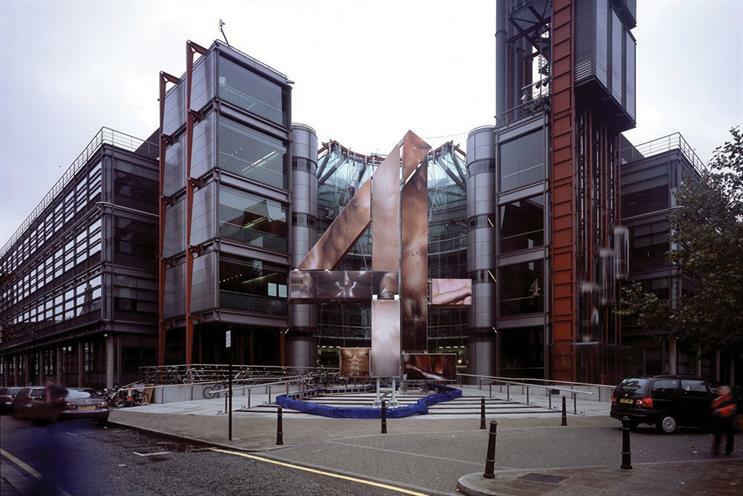 So relocating Channel 4 would likely mean moving only people who work in commissioning, finance, corporate and, potentially, ad sales – a big deal when the major media agency groups are in London. Sky Media’s move from Victoria to Osterley last year damaged morale and Channel 4 sales director Jonathan Allan says leaving London would harm 4 Sales. Allan points out that he already has a "growing" office in Manchester to deal with regional advertisers. However, there will beneficiaries, David Emin, director of commercial content at Made Television, suggests: "London is too expensive for new talent to live in – moving out will [give Channel 4 access to] a range and calibre of candidates not able to afford to start their careers in London." "I don’t think people from the south-east realise how utterly unobtainable a career in the media feels when you live outside London. In my home town of Wolverhampton, saying you wanted to work in telly was like saying you wanted to be an astronaut." "Major media brands relocating to the UK’s regions stimulates talent diversity and inspires innovation, keeping the UK at the forefront of the advertising industry." "The majority of media and ad agencies are London-based. A substantial move would impact our ability to collaborate and innovate with them and their clients, damaging Channel 4’s business model and the investment we make in high-quality programming." "Channel 4 moving out of London would certainly be another high-profile knock against the myopic belief that only London can be the centre of the media and advertising universe. You should be defined by your thinking, creativity and success, not your location."